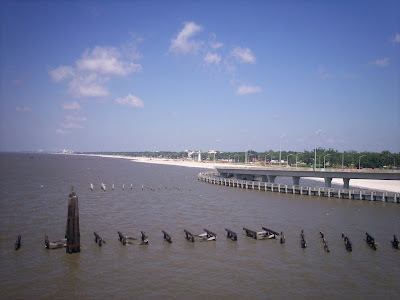 I took this photo while I was at the garage of Beau Rivage Hotel in Biloxi. I told Hubby that I will take pictures by the Gulf while he was searching for a good parking spot. For some reason, the water looks muddy here. Maybe, there was a storm a day earlier. Anyway, we checked in at The Beau for three days and the remaining three days at the Isle of Capri. It was a fun vacation! Are you planning for a vacation soon? You should check out the Gulf coast.